Homozygous familial hypercholesterolemia (FH) is an autosomal dominant disease caused by a mutation in the low-density lipoprotein (LDL) receptor. This mutation can lead to increased serum LDL, and subsequently to premature coronary artery disease. It may also lead to valvular and supravalvular aortic stenosis, these complications being cardinal in the natural course of the disease. The surgical treatment of aortic stenosis and coronary disease among patients with homozygous FH is accompanied by a high degree of risk. We report the case of a 12-year-old girl; she had a medical history of FH like her brother with tendon xanthomas of the upper and lower extremities [Figure 1]. She was operated two years previously for aortic stenosis associated with mitral valve regurgitation grade 3 without coronary artery disease [Figure 2]. She had a Ross intervention with mitral annuloplasty with positive results. Currently, she was admitted in emergency for acute coronary syndrome with negative ST and positive troponin I with initially stable hemodynamic constants. A transthoracic echocardiography was done which showed a dilated left ventricle with an ejection fraction of 61%, mitral regurgitation grade 2, absence of aortic insufficiency, and a good functioning of a Contegra tube in pulmonary position. 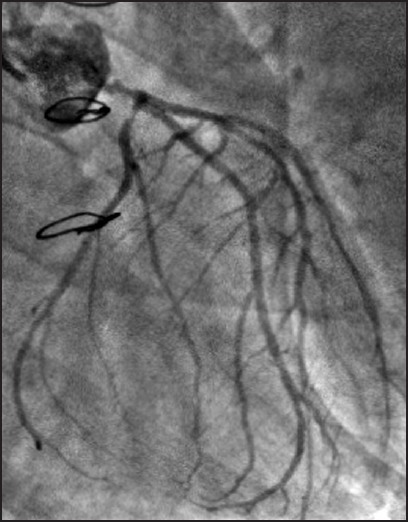 The patient was directly sent to the catheterization laboratory where angiography showed stenosis of the distal left main trunk, subocclusive stenosis of the proximal circumflex coronary, a stenosis of the second and distal parts of the interventricular coronary, and proximal subocclusive stenosis of the right coronary artery [Figure 3]; it also showed stenosis of both left and right subclavian arteries [Figure 4]. She was hospitalized in the surgical intensive care unit and antianginal treatment was initiated. Her hospital course was complicated by the deterioration of hemodynamic status with several outbreaks of left heart failure related to mitral regurgitation grade 3-4 with a low ejection fraction of 35%, requiring the introduction of vasoactive drugs in gradually high doses. The patient was operated and three aortocoronary grafts using the two saphenous veins taken at the thigh because of the presence of stenosis of subclavian arteries, in addition to the replacement of the mitral valve by a mechanical prosthesis. The postoperative course and medium-term follow-up were excellent with improved hemodynamic status and the disappearance of angina and dyspnea. The internal thoracic artery (ITA) is associated with a rate of long-term patency, superior to that of a saphenous vein graft, and some researchers believe that arterial revascularization can be the best approach for the affected children. , However, acceptable results from using venous grafts have been reported. , For this patient, the subclavian arteries were stenosed, and given the natural evolution of the lesion in this disease, using internal mammary arteries was not possible without prior dilatation. So the strategy was geared toward the use of the crural portion of both internal saphenous veins which is a good template to make the coronary artery bypass grafts. Coronary atherosclerosis in patients with FH progresses more rapidly than that in the general population and an intensive cholesterol-lowering therapy is mandatory for these patients. The management of homozygous FH includes diet modulation, pharmacological treatments with lipid-lowering drugs (e.g., statins), lipid apheresis, and also the use of new modalities such as gene therapy or liver transplantation offering new receivers adapted to the catabolism of cholesterol. The important results of recent clinical studies confirm that appropriate medication is able to prevent premature myocardial infarction, to prolong life, and maintain its quality. FH is a dominantly inherited disorder caused by mutation at the locus for the LDL receptor and is frequently associated with premature coronary artery disease and aortic valve involvement. The surgical treatment of these complications is accompanied by a high degree of risk, even in skillful hands. The prognosis remains serious in the short and long term with a high risk of mortality. Intensive cholesterol-lowering therapy and LDL aphaeresis in association with surgery may be useful. However, the best option to normalize the lipid profile might be liver transplantation. 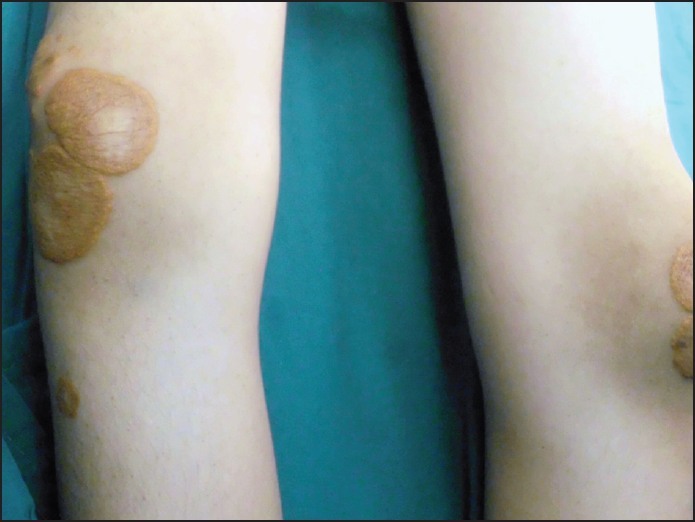 Long-term follow-up and regular evaluation are recommended for these patients. 1. Arora G, Fraser CD, Kearney DL, Vincent JA. Severe supravalvar aortic stenosis in familial homozygous hypercholesterolemia. Pediatr Cardiol 2006;27:282-5. 2. Nemati MH. 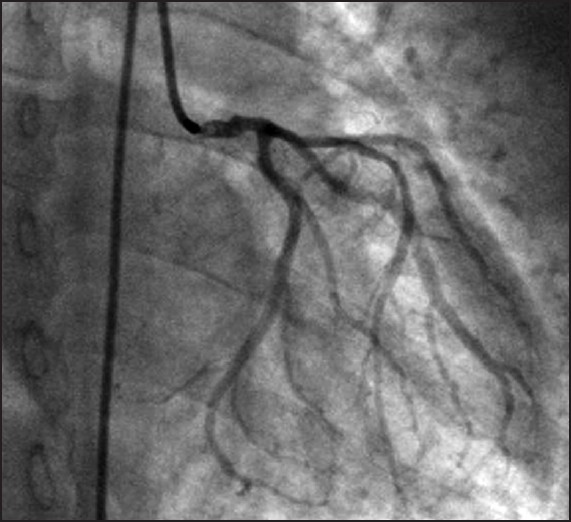 Coronary revascularization in a child with homozygous familial hypercholesterolemia. Interact Cardiovasc Thorac Surg 2010;10:131-2. 3. Baker SG, Joffe BI, Mendelsohn D, Seftel HC. Treatment of homozygous familial hypercholesterolemia with probucol. S Afr Med J 1982;62:7-11. 4. Baghaei R, Jalillifar N, Rezaei M, Dehestani A, Vafaei H. Coronary artery bypass grafting in familial hypercholesterolemia. Iran J Card Surg 2010; 3:3-5. 5. Goksel OS, Tireli E, Oflaz H, Dayioglu E. Coronary artery bypass grafting in a 12-year-old girl with familial hypercholesterolemia. Acta Chir Belg 2009;109:117-8. 6. Nemati MH, Astaneh B, Joubeh A. 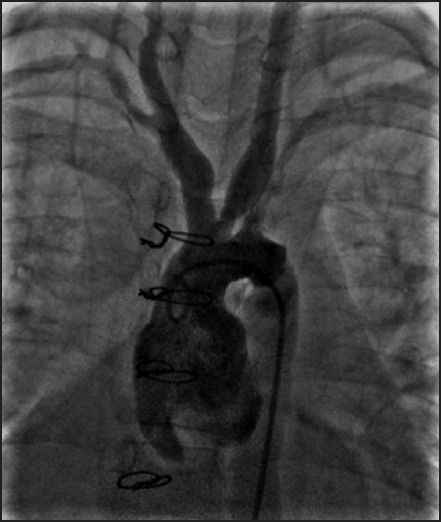 Triple coronary artery bypass graft in a 10-year-old child with familial hypercholesterolemia. Gen Thorac Cardiovasc Surg 2009;57:94-7. 7. El-Khouri HM, Danilowicz DA, Slovis AJ, Colvin SB, Artman M. Saphenous vein graft growth 13 years after coronary bypass in a child with Kawasaki disease. Ann Thorac Surg 1998;65:1127-30. 8. Yasuda T, Kawasuji M, Sakakibara N, Watanabe Y. Aortic valve replacement for the calcified ascending aorta in homozygous familial hypercholesterolemia. Eur J Cardiothorac Surg 2000;18:249-50. 9. Nemati MH. Aortic stenosis five years after coronary artery bypass grafting in a young patient with homozygous familial hypercholesterolemia. J Heart Valve Disease 2009;18:125-7. 10. Elghobary T, Allal J, Menu P, Baron O. Homograft replacement of the calcified aortic root in familial hypercholesterolemia. Ann Thorac Surg 2006;81:e4-5. 11. Miserez A. Hypercholestérolémie familiale: Deuxième Conférence de l'OMS et Programme international MED PED. Forum Med Suisse No 29/30 25 julliet 2001. p. 760-4.